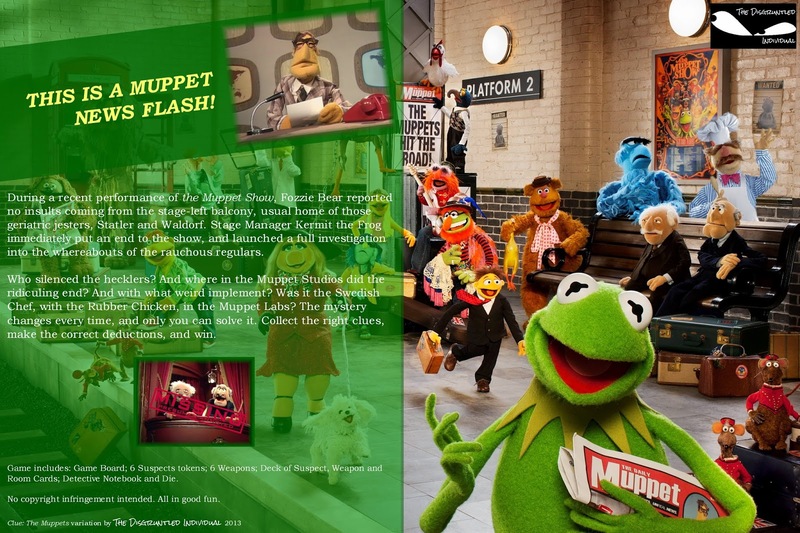 Today sees the release of the eighth Muppet feature film, Muppets Most Wanted. 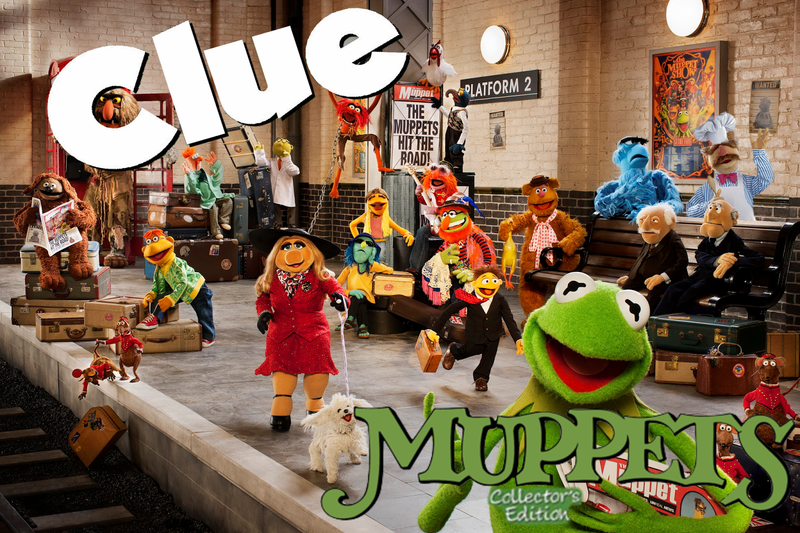 To celebrate this fact, I have created a Muppet variant of the classic detective game, Clue. If you frequent this site, you may have gleaned that I have a borderline obsession with Clue, and am continuously disappointed with the lack of licensed variants of the game (at least, as of late). Monopoly has been adapted to fit every single minor facet and property in the world, but Clue gets forgotten despite it's highly adaptable formula. 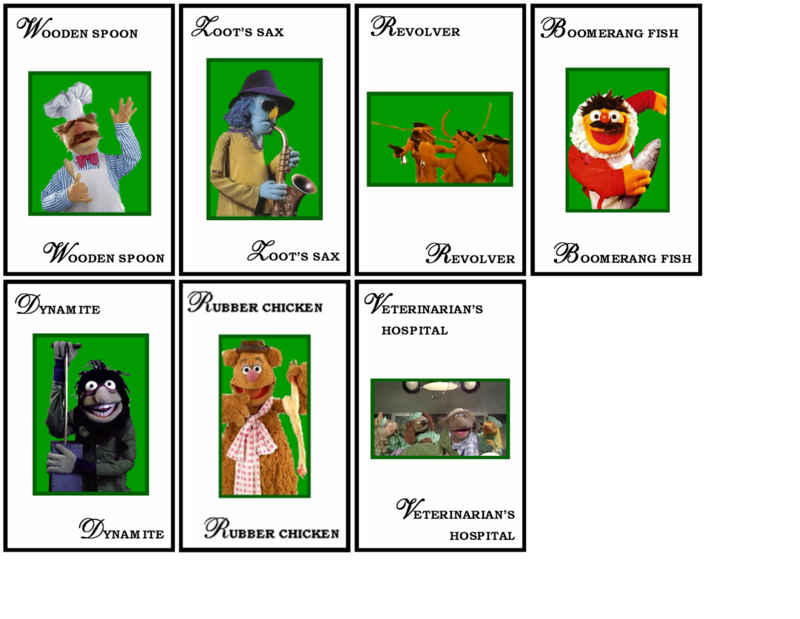 So, in honour of the new Muppet heist film, I have put together a Muppet crime game. Those who took a look at the Doctor Who Clue I put together for the 50th anniversary might notice that the Muppet version is slightly rougher and not as detailed. This is because I made the Muppet version first, and anything I was unhappy with, improved for the Time Lords. Still and all, I'm happy with the outcome. Hit the jump for the game, which Disney lawyers should be aware is for my personal use, and is not being marketed or sold. NO SUING PLEASE. 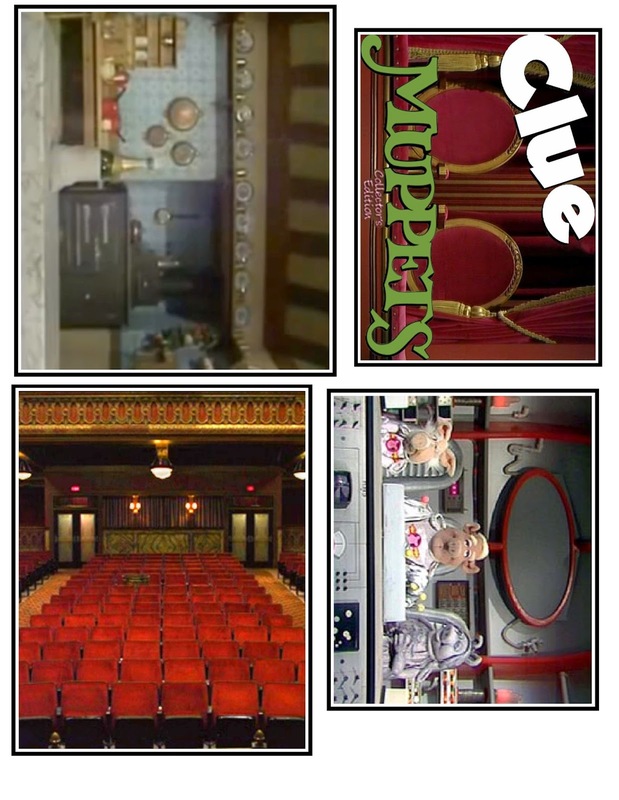 The whodunnit formula of the Clue games allows for a fantastic set for certain properties. 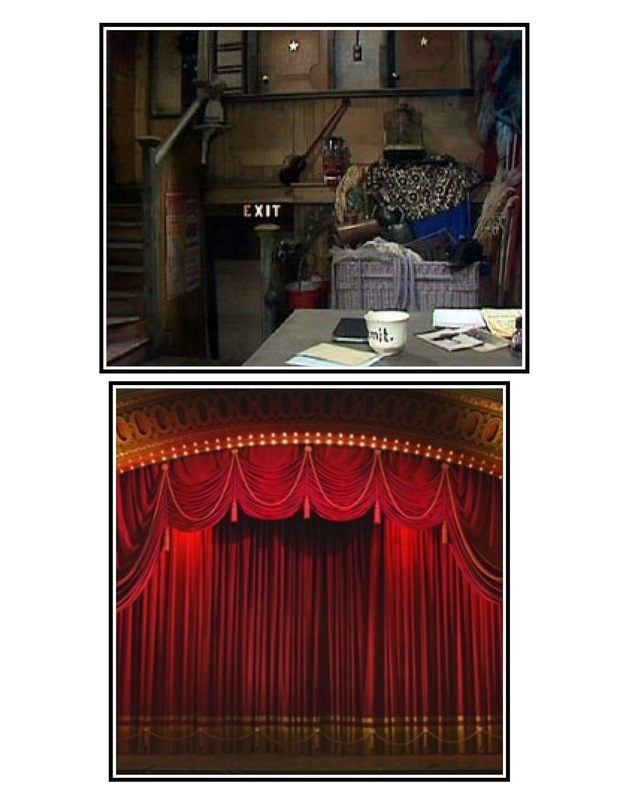 In the Muppet's case, I've structured the game around the classic TV series. In this scenario, geriatric hecklers Staler and Waldorf have been silenced. You, as the player, must discover which of the Muppets brought an end to the critics, with which Muppetity weapon, and in which room or set of the Muppet Studios. 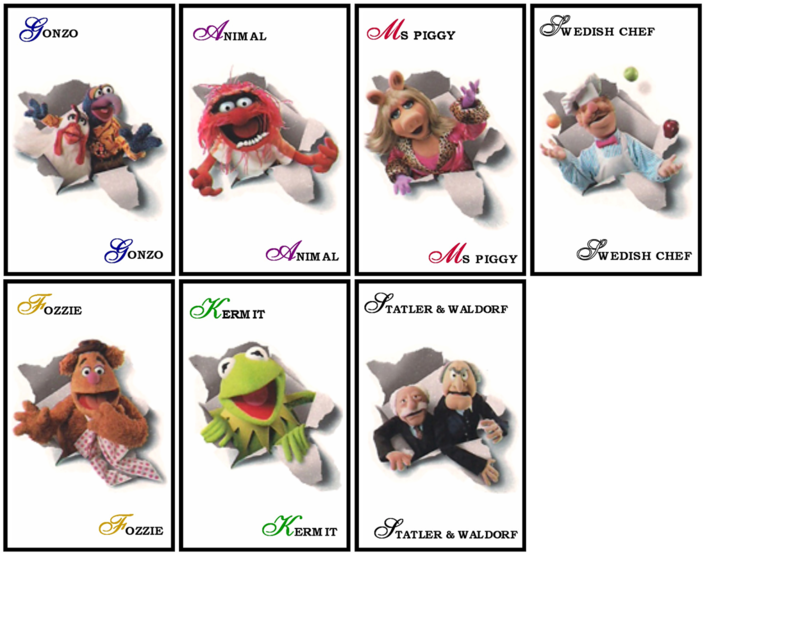 In place of creating my own pieces (something I altered in later editions), I have made use of the pieces from the Muppets Monopoly. Therefore, your suspects are Kermit the Frog (Rev. 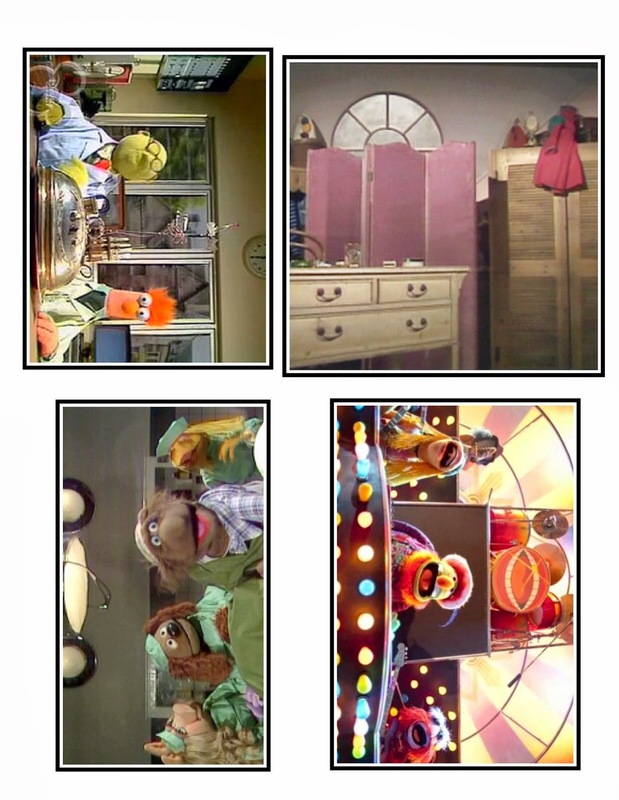 Green), Ms. Piggy (Ms. Scarlet), Gonzo The Great (Mrs. Peacock), The Swedish Chef (Mrs. White), Animal (Prof. Plum) and Fozzie Bear (Col. Mustard). 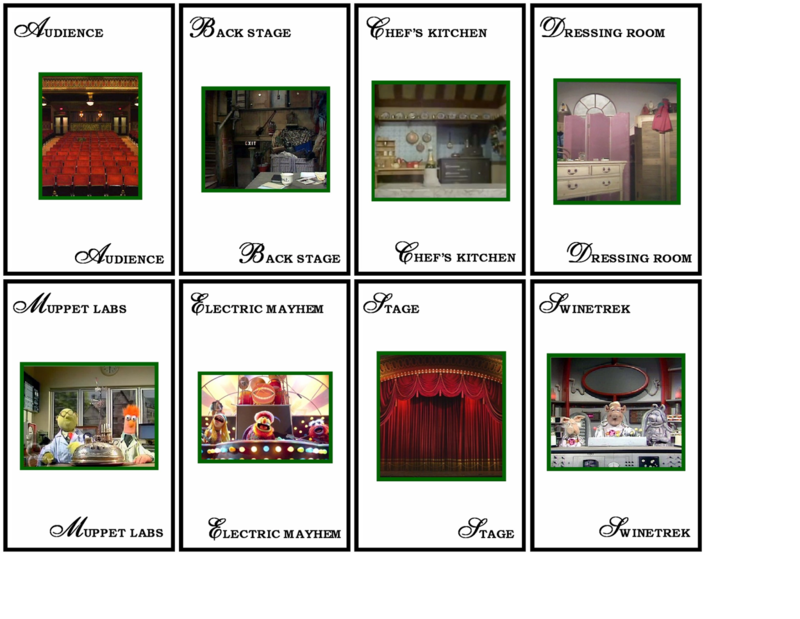 The possible locations for the crime are the Main Stage, the Audience, Back Stage, the Chef's Kitchen, the Guest Dressing Room, Muppet Labs, the Electric Mayhem Set, the set of the Veterinarian's hospital, and the set of the Swinetrek. Weapons, all of which were procured from either the Palisades Muppets figures, or from a Dollhouse shop (for the scale), include a Wooden spoon, Zoot's Sax,Lew Zealand's Boomerang Fish, Crazy Harry's Dynamite, a Rubber Chicken, or one of the Lobster Banditos' revolvers. The card backs are adorned with the silhouette of Jim Henson and Kermit, which I thought was a sweet image. Clues are gathered on a notepad as per usual. 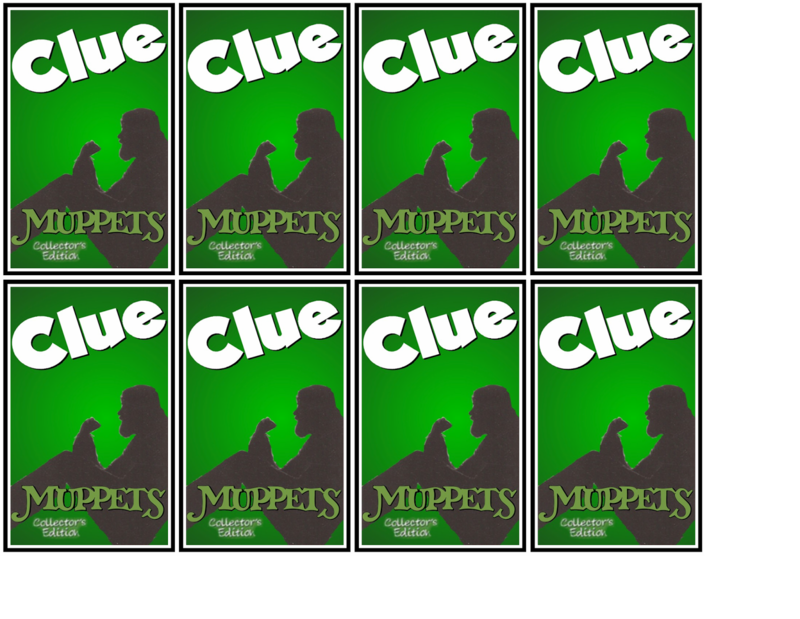 A major difference between this Muppet version of Clue, and my later creations was the board. In later editions, I have created a whole board from scratch. in this, my first attempt, I simply had printed the necessary images and laid them over the existing rooms on a second hand Clue game board. the end result is functional, but doesn't look as good as it could. I plan to fix this in the future. 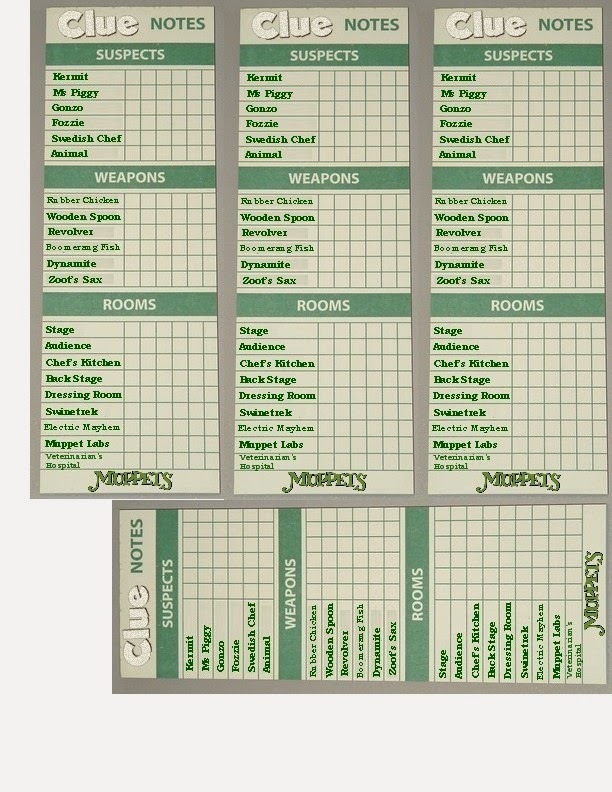 As with the Doctor Who game, I purchased a used copy of a 2002 edition Clue, and used the game and the box as my template. The box images at the top were attached to the top and bottom of the box, and the follow ones attached at the sides.